Like any other pure bread dog, you should be aware the Dogue de Bordeaux or French Mastiff has its own genetic health issues. These range from dysplasia to bloating, and they can easily become obese. However you can simply manage the weight of the French Mastiff by feeding your dog two to three rationed meals a day. This breed is also known for a higher degree of bone cancer susceptibility, and kidney stones. However with proper care, your French Mastiff can remain happy and healthy and live to average age nine to twelve years old. So how do you approach nutrition for this impressive dog? The French Mastiff, one of the best known types of Mastiff and one of the highest ranking when it comes to guard dog duty. The French Mastiff certainly has “presence” and will guarantee that any strangers that encounter it will think again about trespassing on its territory. It has been said that the Dogue de Bordeaux breed is the paradox of the K9s; being that is Loyal and calm, yet ferocious and fearless; loving and caring, yet an aggressively on guard. A French mastiff will instinctively position itself between his owner and stranger if the person approaching is unknown to the family’s “territory”. Corageous, shy, stubborn, affectionate, fearless and sensitive. Prone to epilepsy, hyperkeratosis, canine hip dysplasia, heart problems. 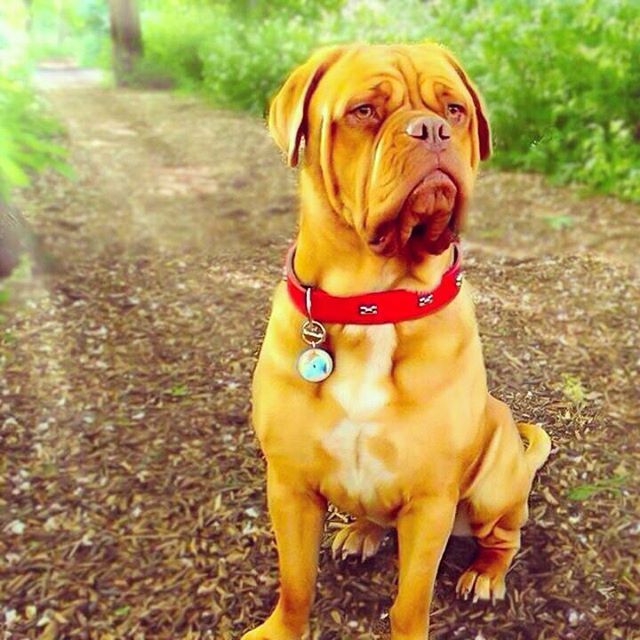 What Foods to Feed a Dogue de Bordeaux? The responsibility of the Mastiff's health relies solely on the owner (or owning family). With a well balanced diet and abundance of ‘play time’ exercise your mastiff will may even live beyond its ‘average years’. Be forewarned that the mastiff can like humans enjoy being lazy, and quite comfortably lounge around the house. A good owner will even coax the dog off the couch and take him/her for a run in the park. And what do you think should the best diet for a large watchdog like the French Mastiff? A healthy mastiff is fed on a rich combination of raw and commercial diets. The raw diet is made up of a perfect ration of meat, bones, and vegetables. The raw diet seeks to imitate what the dog would eat were it in the wild. For a large dog like the French Mastiffs, the raw diet is a great source of protein, vitamins, and fats. In additions, bones provide important minerals and calcium to the dog. To ensure that the French Mastiff has balanced nutrients that it requires to stay healthy, it is also fed on commercial foods. Depending on the health condition, size, and life stage of your dog, you may require specialists' diet to supplement the raw diet. 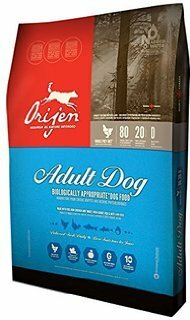 There are a number of dog food brands such as Blue Buffalo, Taste of the Wild and Orijen to feed your dog through the various stages of its life. French Mastiffs often suffer from a number of allergies. Whereas some of these allergies are linked to the environment and its hygiene, quite a number can be blamed on the foods they are fed on. For example wheat based foods have been known to cause allergies in a number of Mastiffs. When you suspect that a certain food substance cause allergies in your dog, then the most important thing to do is to eliminate that food item from your dog's diet. Quite often when your French Mastiff has frequent infections or suffers from demodectic mange, then chances are the dog has an immunological deficiency. This health problem can be prevented and cured by giving your dog the right nutrients in the right diet especially by use of foods rich in fish oils, vitamin C, and colostrum powder. 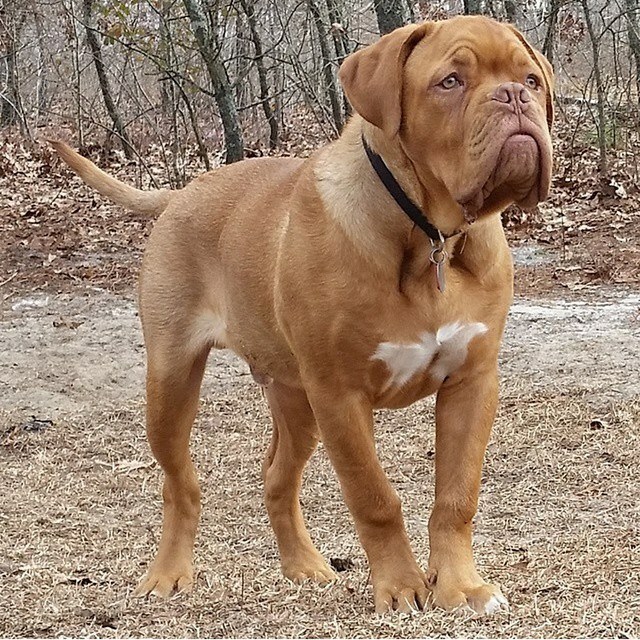 Shoulder, hip, elbow, and knee dysplasia in the Dogue de Bordeaux is often as a result of the difference in the growth rate of bones and that of the other body tissues. Although a number of other factors such as trauma, genetic predisposition, and strenuous exercise are known to cause dysplasia, obesity is the causative agent for the ailment in many dogs. Feeding your Mastiff with the right foods or proper training treats can greatly help prevent the ailment. 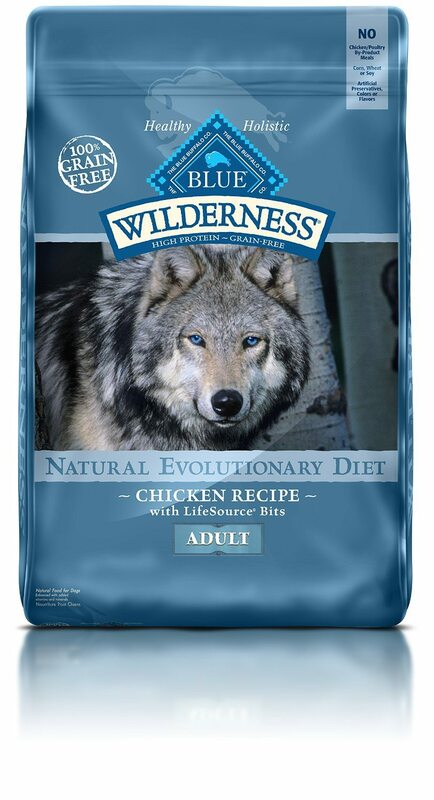 The Blue Buffalo Wilderness Chicken Grain-Free Dry Dog Food is made with carefully chosen ingredients in order to provide proper nutrition for your pet. The composition of this dog food is inspired by the diet of wolfs, and it contains plenty of proteins and just enough carbohydrates, antioxidants, vitamins and minerals. This combination will keep your Mastiff active and strong, and because it contains no grains it helps prevent some of the bloating problems that French Mastiffs usually have. Thanks to the blueberries, cranberries and carrots that can be found in the Blue Buffalo food, the dog will receive an important amount of antioxidants with every meal which will improve and maintain his immune system as well as his energy levels and great fur. Another big advantage of the Blue Buffalo food is that it does not contain any chemicals or artificial flavors or colors. This makes it perfect for your dog, and it can replace completely home made food without having to worry that it will prejudice its health in any way. Considering the feedback of other owners, the dogs seem to adjust quickly to this food and they experience no health issue during this process, even when it comes to breeds that usually have a sensitive stomach. Also the veterinary does not recommend taking any other supplements while feeding the dog with Wilderness Blue Buffalo, since it already contains plenty of vitamins and minerals. For a French Mastiff, getting the right amount of proteins and staying away from grains is vital, that is why the Taste of the Wild Wetlands is a great choice when it comes to dry dog food. It is made from natural ingredients and it contains real roasted and smoked fowl as the primary meat and sweet potatoes, so it does not require any added flavors. To ensure a healthy digestion the food contains dried chicory root and the necessary amount of Omega 3 and Omega 6 for a great immune system and a healthy and shiny coat. As for the vitamins, they come from all the fruits and vegetables that are used for the Taste of the Wild Wetlands food. Because it contains a natural source of antioxidants, this food will improve and support the immune system of the dog and it will keep any common disease away without any other chemicals or supplements. That is why it is suitable even for sensitive dogs who tend to have digestive or skin conditions. Dog owners who use this food for their pet say that once they started using it, they noticed a significant improvement in their dog’s coat and teeth as well as in the clearness of the skin. At the same time, the dog seems to have more energy and less tendency to gain extra weight. 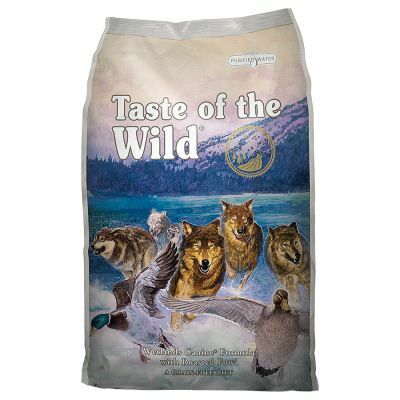 Taste of the Wild Wetlands works great both for indoor and outdoor dogs, and it can be the only type of food that the dog eats as it contains every nutrient a dog needs. An excellent choice of food for your French Mastiff. The French Mastiff needs proper nutrition in order to be active and healthy all the time, and this means a lot of proteins combined with vitamins and minerals. This is exactly what Orijen Original Grain-Free Dry Dog Food is providing, a combination of free range chicken and turkey, eggs, wild caught fish as well as fruits and vegetables. Being free of any artificial preservatives, colors and made only from fresh and natural ingredients, this dry dog food is suitable for any breed, no matter the size and the energy levels. Apart from all this, the Orijen food has a low glycemic index and it is gluten free so it is also suitable for dogs who have problems with their weight or have certain dietary restrictions. The combination of ingredients prevents bloating problems and it promotes a healthy coat. Regarding the taste, the dogs seem to adjust to it immediately thanks to the infusion of dried chicken and turkey liver. The infusion is made with natural ingredients so there is no need for added chemicals that could cause problems to the dog. According to feedback from other dog owners , the Orijen food is perfect for picky dogs and for dogs who have the tendency to eat more than they should. No other vitamins are required if the dog is being fed exclusively with Orijen Original Grain-Free Dry Dog Food, so it is prefect for dog owners who don’t have much time to give vitamins and supplements to their pet. Dogue de Bordeaux is not just the biggest dog, but has a huge heart; one that he is just waiting to give to you for a Mastiff lifetime hence why it is your responsibility to feed them correctly. Blue Buffalo, Taste of the Wild and Orijen are three of the top vet recommended dog for brands for this breed. All of these brands use healthy ingredients and are designed with your dogs' overall health and happiness in mind.